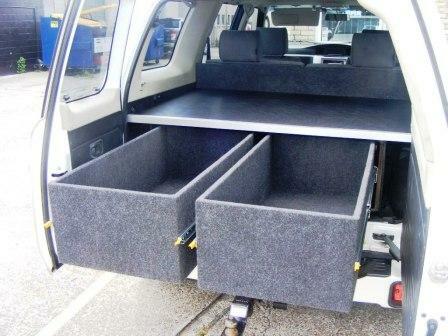 If you are looking for more convenient and usable space in your Van, 4wd, Ute or Camper than a drawer system would be the best option to suit your needs. Just think that you can still have all that floor space but under it you could have a full length drawer to accommodate more gear, or it could even be fitted with dividers for more organization, no more shifting everything to reach that item at the bottom. You’ll be amazed at how much extra storage space you will have. Manufacture and supply custom made drawer systems to your own specifications with a rating up to 150kg per drawer. These drawers can be created in an infinite number of variations to suit each customers needs individually. Whether it be a van, ute or a 4wd we can create anything! We also offer a drawer system that carries a whopping 400kgs fully extended. 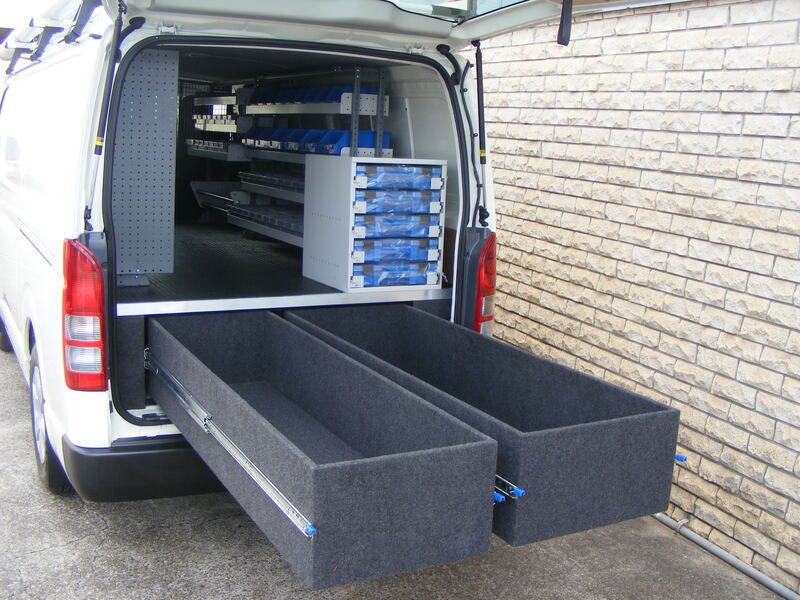 These drawers are of a superb heavy duty construction in sizes ranging from 1.0m to 2.4m x the width of your vehicle. 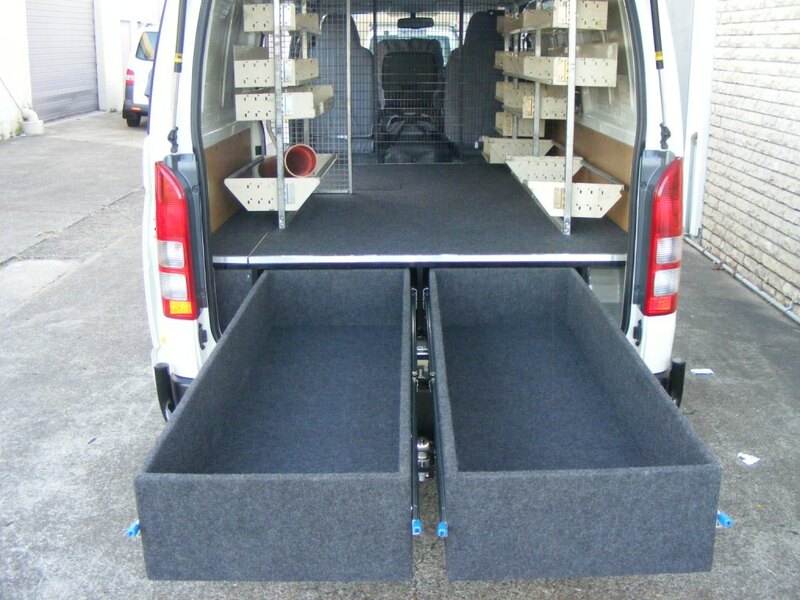 These drawers can be mounted one on top of another with the top having a reduced weight rating or drawers out of each door in a van. 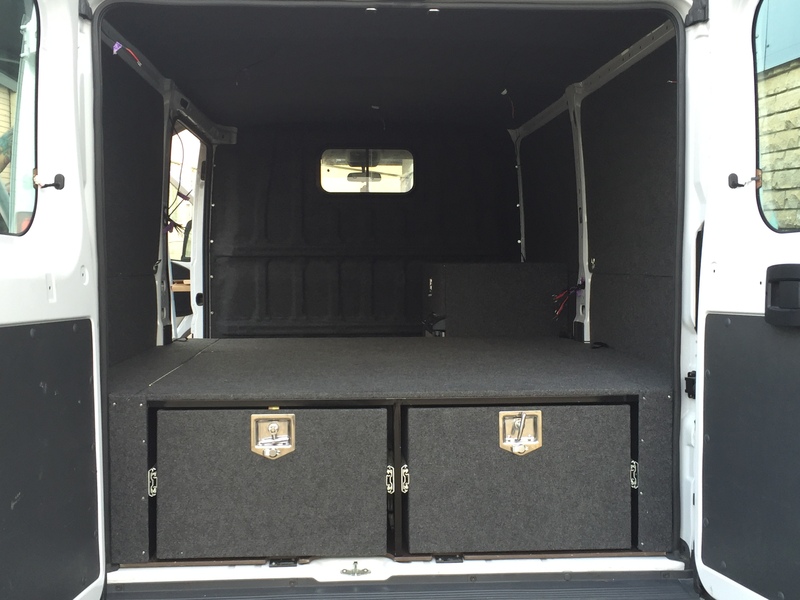 The drawers are fitted with a custom false floor fitted over the drawer to the walls of the vehicle with the option of hinged access doors over wheel arches to achieve maximum storage area.